Starting with the chassis completely torn down! Here we go with the rebuild! Rear end in and waiting on the freshly machined motor. The heart of the the buggy, these will power it around the resort! The dash area complete with our SC Carts electric fuel gauge and light switch. Next we got in the booth and laid down this custom stinger yellow paint. Because this is going to be used around the resort, our customers wanted a rear seat and some safety belts for the little ones! Next we installed the front cowl and the black roof. The custom SC Carts silver and black grill bring the front end of this buggy together! With everything installed we took it outside to get some photos in the sun. You can see the 5 panel rear view mirror. 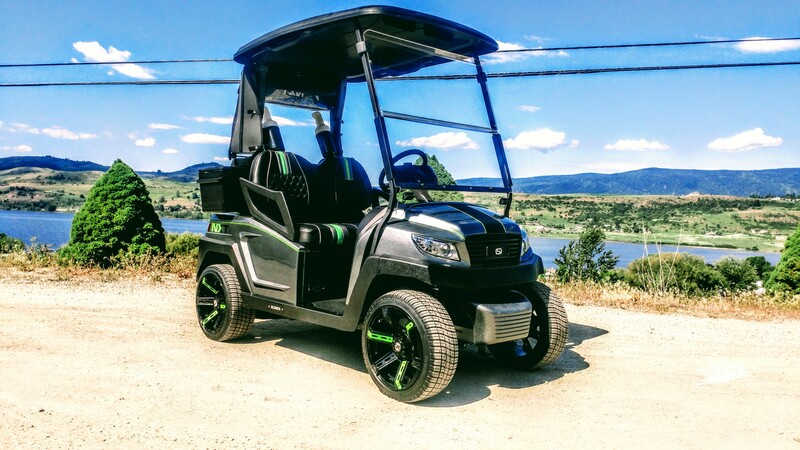 We think this resort cruiser was outfitted with exactly the right touches for zipping around the community at Predator Ridge! It will bee turning heads everywhere it goes!